Matera Letteratura Association is a non-profit organization set up in 2004 for: the promotion and organization of the Women’s Fiction Festival, the organization of writing courses, , the organization of meetings and events that will promote a love of literature and a culture of reading, the organization of meetings and literary events related to intercultural dialogue among different entities, such as publishing houses, literary agencies, editors, writers’ associations and cultural associations. Elizabeth Jennings is an American citizen living in Matera. She is by profession a wordsmith -- an interpreter, translator and writer. She is married and has lived in Matera since 1988. For 28 years she worked as a simultaneous interpreter from German, French and Italian for the European Commission, the European Parliament, the Council of Europe and a several UN agencies. She is a romantic suspense author and member of Romance Writers of America and Mystery Writers of America, of the International Thriller Writers Association and a member of Novelists, Inc. She is the co-creator of the Women's Fiction Festival, and is the Honorary President of the Women's Fiction Festival. Mariateresa Cascino was born and lives in Matera. She graduated in Communication Science at Lumsa University in Rome and is a free lance Marketing and Communications consultant for both the government and private sector. 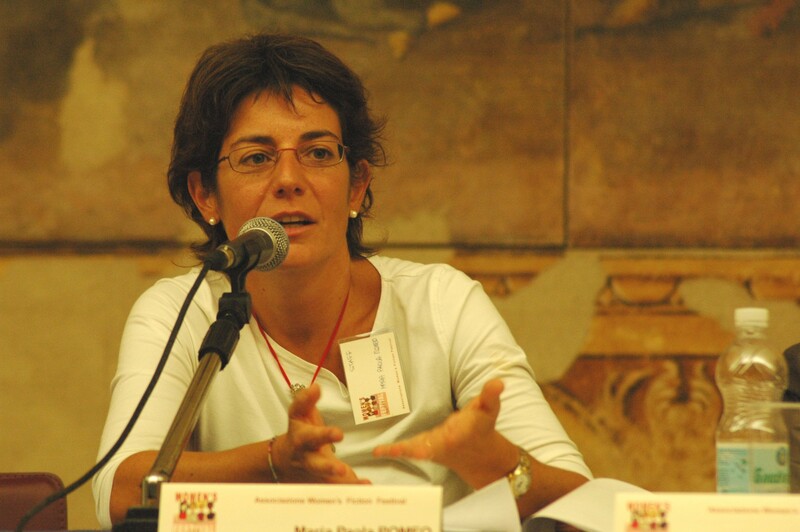 Mariateresa Cascino is also involved in research, planning and promotion. She has worked both in Italy and in the United States, in Boston and New York, as a marketing and communications specialist for consultancy firm and for retail corporations. She is one of the founding members of the Women's Fiction Festival and the president of the Matera Letturatura Cultural Association. Maria Paola Romeo lives in Milan and worked thirteen years for Harlequin Mondadori, a joint venture between Canadian-owned Harlequin Enterprises, the leading international publisher of women's fiction, and Arnoldo Mondadori Editore. She is currently a literary agent at Grandi & Associati Literary Agency. She is also a translator from English and German for a number of women's fiction editors, such as Sonzogno and Sperling & Kupfer and has experience speaking at several creative writing courses. 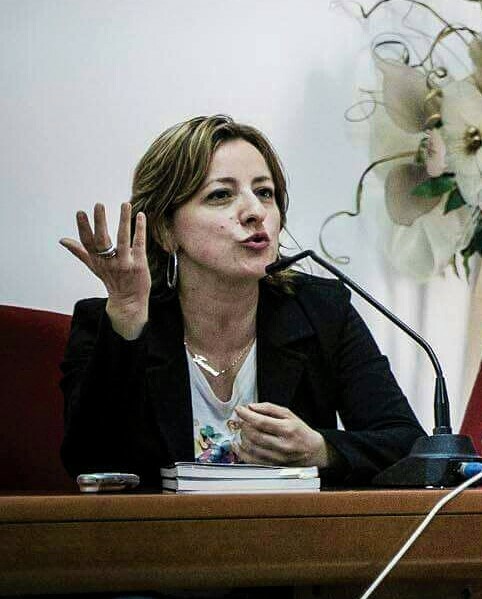 Maria Paola Romeo is the co-creator of the Women's Fiction Festival, and Vice-President of Matera Letteratura Cultural Association. Born in Teggiano, a small medieval village on the border between Campania and Basilicata, Giuditta Casale moved to Rome to study Classical Literature at university. In 2010, ‘love’ lead her to leave Rome and move to Potenza where she now lives with her family. The only label she feels affinity with is that of ‘reader’. Creator, with friends, of the literary blog Tempoxme. She now writes about books, her great unwavering passion as a child, on her personal blog Giudittalegge.it, alternating between school and family readings, author presentations, participation in literary festivals and everything else about books. 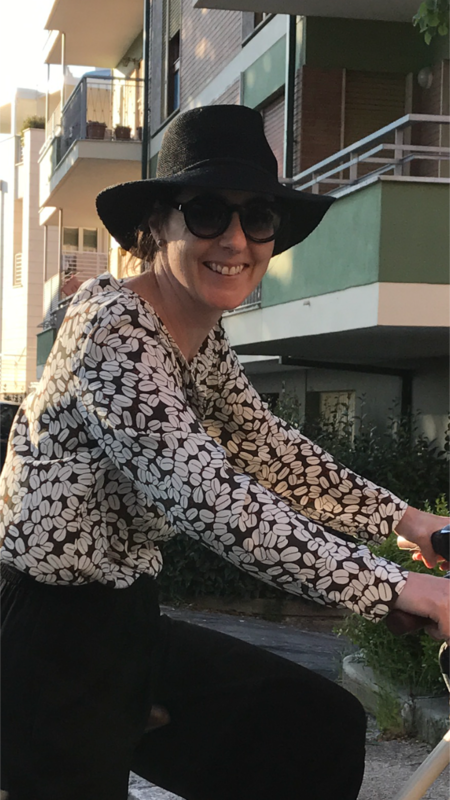 Giuditta joined the Women's Fiction Festival team in 2017 working on cultural planning and author meetings. Secondary school Italian literature teacher for over 20 years, convinced that the world can change with a book! Driven by a passion for her job, Silvia Palumbo has collaborated with Cepell, a books and reading institution from Rome plus, the publishing/cultural/reading hub Giannino Stoppani from Bologna. She has organised teacher training courses on Literary Education and Creative Writing and hosted engaging encounters with renowned children authors in the school library, which she has run for 10 years. The creativity of Silvia’s projects has been recognised and awarded on a national level a number of times. 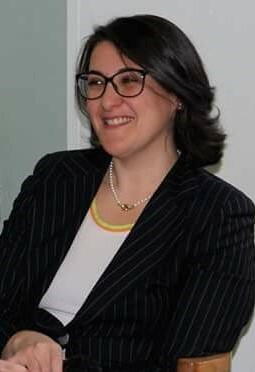 She is honoured, together with her students, to be part of the jury of the prestigious Italian literary award Premio Strega Ragazzi and is the coordinator of School Projects for WFF. A graduate from Mons-Hainaut Ecole d'Interprètes Internationaux (EII UMH) and the Faculty of Interpreters and Translators at the University of Trieste (SSLMIT). 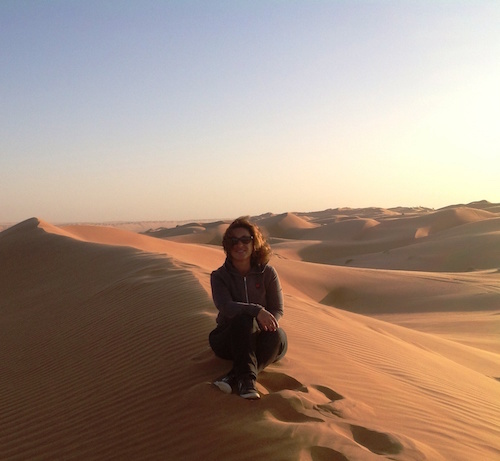 Tiziana D’Oppido has worked as a CAT researcher, senior management assistant, foreign trade manager and, naturally, as interpreter and translator for 15 years. Passionate about literature and writing, she has collaborated with publishing houses and literary festivals for years, as well as being a creator and organiser of cultural events. Hot off the press is the publication of her first novel in 2017 with publishers LiberAria Editrice. Tiziana lives between Matera, Rome and Trieste. Becky Riches is half English, half Irish and has lived in Matera since 2007. A law degree and masters in European Business graduate who escaped into poetry during her study breaks. After nearly 10 years working and travelling in a multi-national environment, based in London and then Milan, she moved to Matera driven by a (since proven) suspicion that the quality of life might be higher there. She now develops and manages responsible tourism projects specialised in forging cultural bridges and harnessing the authenticity of Southern Italy to define a sustainable future. Join us! Our membership year runs from January 1st to December 31st. Your support is vital in organizing the Women’s Fiction Festival, book presentations, book signings, literary events with Italian and foreign authors representing a number of genres during the year. Members of the Women’s Fiction Festival Association have the right to a discount on the registration fee of the Festival. If you want to join us, please email us. Thank you!